Climate-resistance: Asphalt’s flexibility makes it resistant to frost heave. It is also resistant to damage from salt and chemical deicers. Asphalt, in standard black, tends to absorb the sun’s heat, which is good for melting snow off your drive in winter but can get awfully hot – and even melt -- in the summertime. 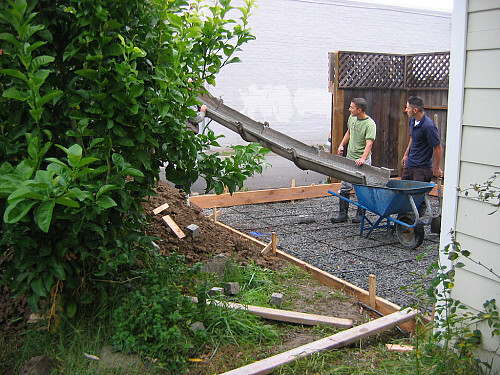 Repair: Repair is simple -- just spread more gravel. Appearance: An interlocking paver driveway offers abundant curb appeal. There are several paver materials – concrete, brick, clay, and natural stone (“flagstone”). Repair: If a few pavers are damaged or badly stained, it’s a simple matter to replace them – assuming that you ordered some spares at the time of installation. Otherwise, you will have to look for the best match.